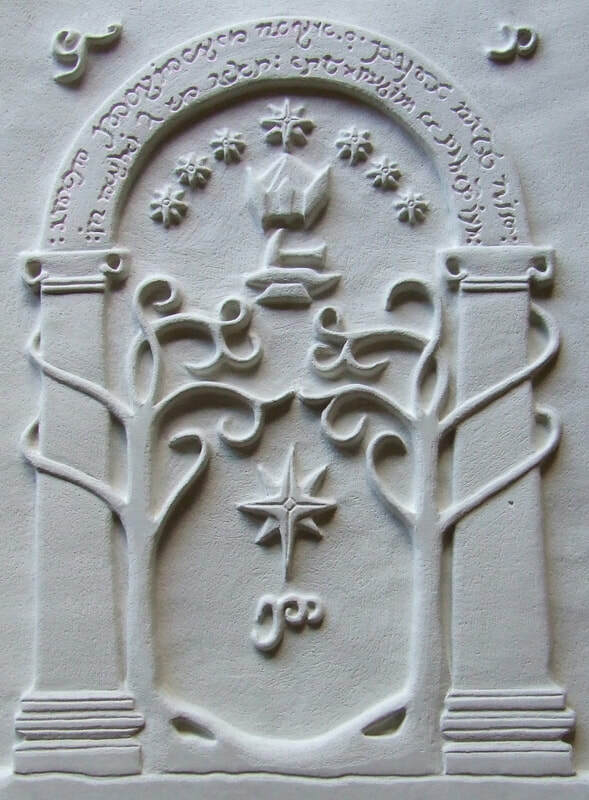 Right from the start of delving into the sci-fi/fantasy ceramics range, the image on the door to the Mines of Moria was high on my list of ‘must do’s’. The Lord of the Rings series is a grand and epic vision, a look into a world that resonates with our most innate desire for fantasy and its imagery is instantly recognisable. 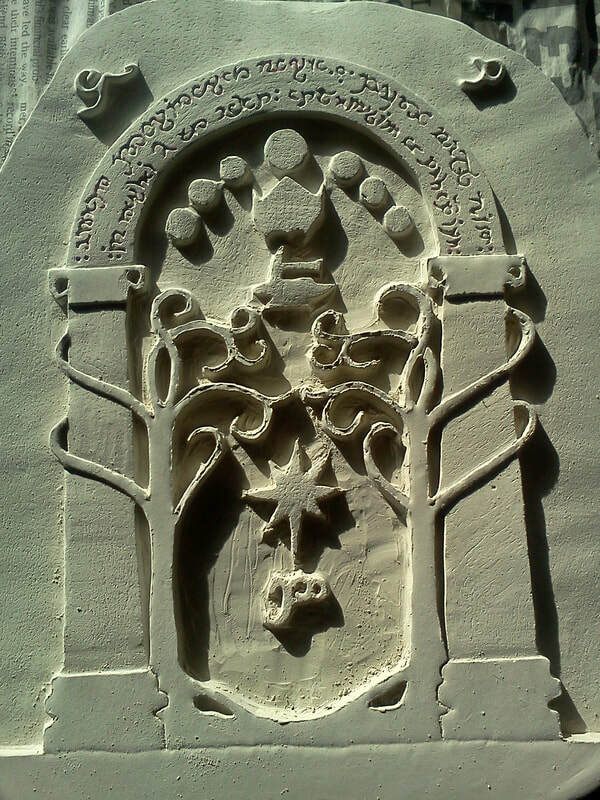 The Mines of Moria Door, which I’ve dubbed ‘Speak Friend’, seemed to cry out to be carved from clay. I’d seen copies made from leather, copper and other materials, but nothing seemed so natural as returning to its original stone-like form, there to endure down the centuries as the Door itself had. My first challenge was the size. Problems with clay increase exponentially with the size, as large flat bases can give rise to cracks and warping both while drying and during firing in the kiln. I chose a size of approximately 20cm as it’s large enough to make a strong visual impact as either a display piece or wall hanging, but just small enough to hold fully supported in one hand, which is important given the fragility of the unfired clay when transporting the raw piece into the kiln. A piece of this size can’t just be undertaken on a whim but must be carefully prepared for and planned out. The clay goes through a number of stages from wet to dry and there are specific tasks that must be done during each. If, for example, I’m not able to finish removing the background while the clay is in the ‘leather hard’ stage, the remainder of the carving will take me quadruple the normal time to complete. In other words, from the moment I roll out the wet clay I’m on a tight deadline. There’s an old saying that there are two things in the world you should never let anyone see how you make: sausages and taxes. But I’d think about adding carvings to that list as well. In the initial stages it’s messy, everything’s rough with jagged edges and it’s hard to imagine that anything worthwhile could ever come from it. But sculpture is all about subtracting the unwanted parts until only the artwork remains, and all those rough edges eventually give way to smoothly flowing lines. The mess may as well have never existed, only photos preserve the journey from chaos to order. Unsurprisingly, getting it to this rough stage doesn’t take too long. I generally have to get it done in the space of a couple of hours, depending on weather conditions, due to the state of the clay. Once the clay dries beyond a certain point it becomes extremely difficult to remove large pieces – the clay breaks rather than comes away cleanly and you risk tearing into sections that you needed to leave untouched. But once it’s dry the true work begins. The general outline has been defined and the bulk excess removed, but the detail now has to be revealed. With the techniques I use everything has to be thought of in terms of subtraction. 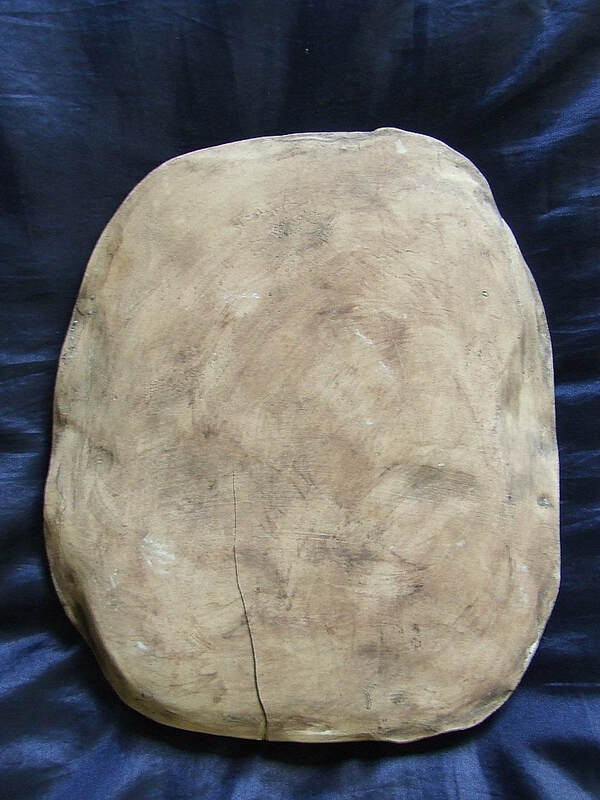 Once the clay’s dry there’s no reliable way to add to it, so any piece that you unintentionally snap off has to stay off and you either have to work around it or bin the whole carving. Looking at ‘Speak Friend’, I have to quantify it in terms of levels – how many there will be and which order they go in. It’s essentially turning a 2D picture into a 3D representation. It’s easy to see, for instance, that the tree branches should be on a ‘higher’ level than the pillars as they’re obviously in front of them, but some of the other decisions are trickier and simply have to be a judgement call based on what I think looks best. The layout of all these has to be remembered while working, or else you can make mistakes that simply can’t be undone. At this stage I have the silhouette at the full height of the highest level and from here I have to define the lower levels, so I’ll carefully leave the highest points of the design intact while carving down until I get to the second highest level. At that point I’ll section it off and take the rest down to the 3rd layer, then 4th, 5th... until all layers are accounted for. I’m not adding in any real detail at this stage so everything resembles an oddly shaped step pyramid and is rather bland. It’s only once all these levels are made distinct from each other that I can start the final detailing process. This is normally the most time-intensive part of a carving. Depending on the complexity I may have to spend up to three hours on an area the size of a postage stamp. I don’t think I could do it if I didn’t love the work. It’s this detail that gives it life, that lifts it up out of the bland obscurity that the wide knife strokes have created. I use a variety of tools, many which wouldn’t be out of place on a Dentist’s tray, and most of which I’ve unintentionally stabbed myself on at one time or another. Blood, sweat and tears – check. Detailing is slow, dusty work. I have dozens of tools on-hand and improvise others as needed, as incising a single line will require up to four different tools: working my way up from a needlepoint to a comparatively wide loop-ended tool gradually so as to shave off the excess clay as gently as possible. The clay can only take so much pressure before it cracks – underestimate that and you’ll end up with a simplistic design without much detail or interest, but overestimate it and you risk destroying the piece. Slowly the design will take form, much in the same way as a camera image coming into focus. ‘Speak Friend’ took weeks of attention, every hour I could dedicate in the evenings after work, and it’s only at the very end that I can look back and say it was worth every second.